It is common knowledge that three of my absolute most favorite things in life are the music of 1982, SuperjockⓇ Larry Lujack, and WLS Music Surveys from 1976-1982. Today for the first time in the brief history of The Hideaway, all three converge in a perfect storm of musical memories. As I've mentioned a few times before, I listened almost exclusively to WLS from 1976 until August 1981, when we moved from the prairie to the desert. 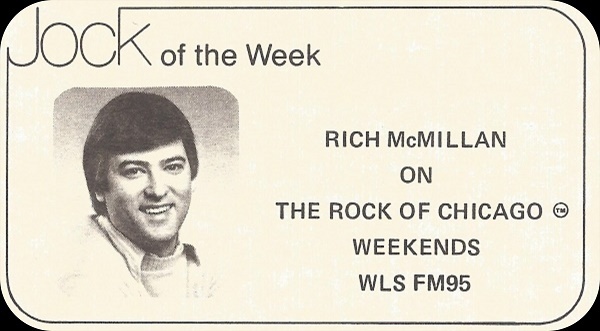 This WLS survey is not one I collected back in 1982 and I have no idea who weekend jock Rich McMillan is in the scheme of things. That must have been a helluva show with The Go-Go's opening for The Police. The girls were still riding up the charts with Beauty & The Beat (up six to #3 on this week's Thirty-threes, the album would begin a 10-week stay at Number One the following week), having recently opened for none other than the Rolling Stones (at #5) and I watched the girls on American Bandstand – featuring both "Our Lips Are Sealed" and "We Got The Beat" in their frenetic, never-stand-still style – less than 10 days prior to the Chicago gig. 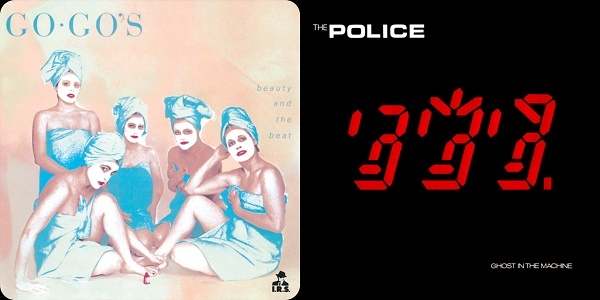 The Police were no slouches though, in my house in 1982, The Go'Go's easily got more spins on the turntable. Like a LOT more. The band's Ghost In The Machine album (holding at #10) was, unlike The Go-Go's uniquely American album, internationally huge, spinning off three singles and setting the stage for the world-conquering success of Synchronicity in 1983. While Chicago and some other towns saw The Go-Go's open for The Police, other cities enjoyed The English Beat, U2, Oingo Boingo, or Joan Jett and the Blackhearts as openers. Here in Tucson, Dave Edmunds, touring behind his 1982 album D.E. 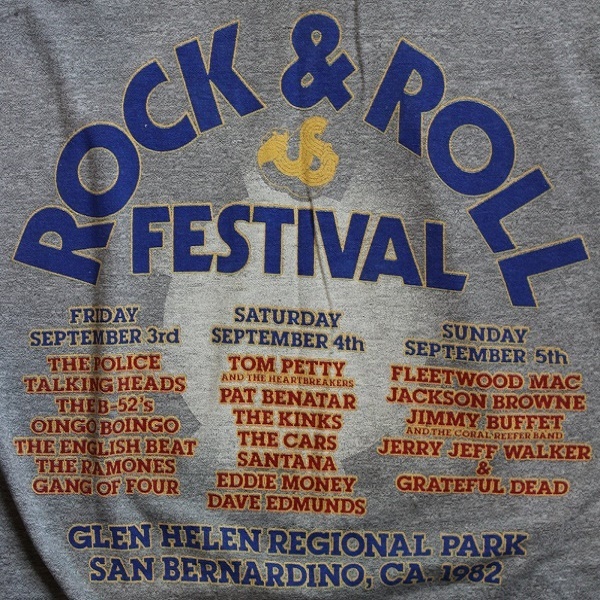 7th, opened for The Police less than 24 hours removed from his performance Saturday, September 4th, 1982, at the inaugural US Festival; The Police themselves had headlined the New Wave-themed first night of the fest. 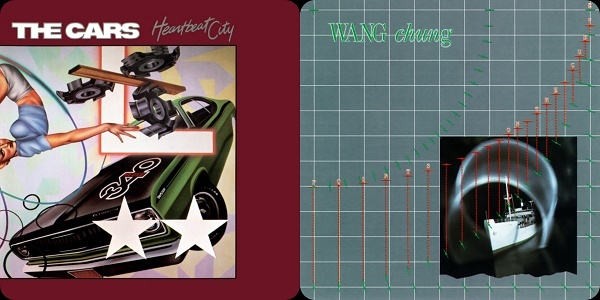 I eventually got to see The Cars on their Heartbeat City tour with Wang Chung opening on September 2, 1984. 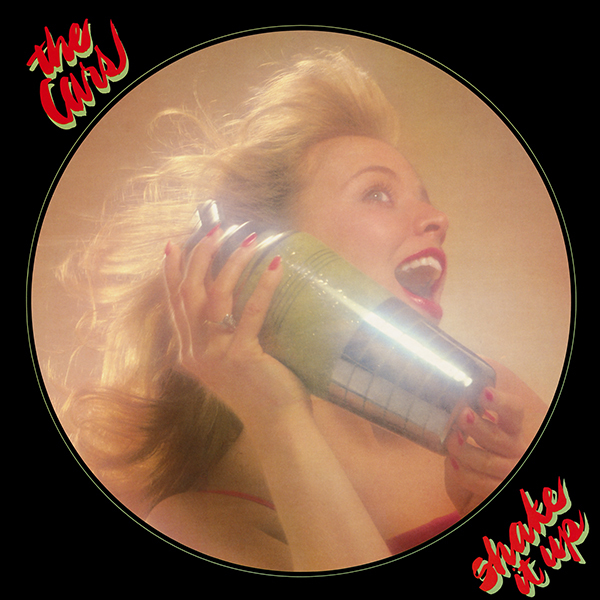 It was a great show from both bands (Wang Chung was promoting their Points On The Curve album) though I was a bit bummed The Cars only performed two tracks from Shake It Up, my favorite album of theirs, namely the lesser-known "A Dream Away" and "Cruiser". 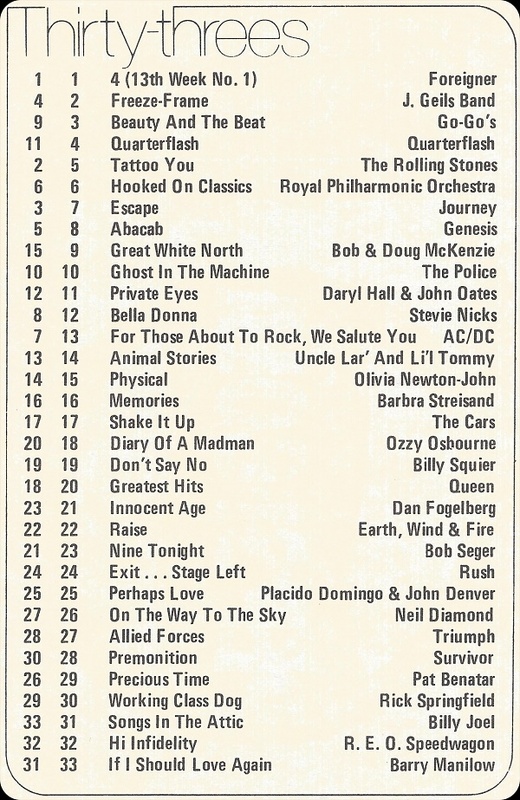 As much as I love the music of 1982, most (if not all) of the albums on this week's WLS's Thirty-threes chart are from 1981 and some of them never registered on my radar at all. WLS seemed to be going in a more rock-oriented direction and the four adult contemporary LPs pictured above that pepper this week's albums list seem out of place with the rest of the titles in my highly biased opinion. Two comedy albums made the cut this week, including the Animal Stories (#14) album from WLS's own Larry Lujack and Tommy Edwards in character as Uncle Lar' and Li'l "Snot-nosed" Tommy aka The Animal Stories News Team. For those of you unfamiliar with the concept, Lujack would read actual animal-related news stories and hilarity ensued. Typing this tonight while listening to Animal Stories (thanks to fellow-fan jb), I'm unsuccessfully stifling my own teary-eyed laughter and trying not to wake up the sleeping angel down the hall. It was the most hilarious part of WLS's morning and later afternoon (I believe) show when I listened but I missed out when the album was released as it was unavailable here in Tucson. 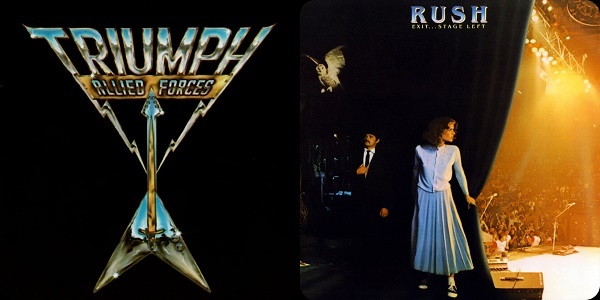 Two further Animal Stories albums were released in 1982 and 1983, with profits from the sales of the albums donated to the Forgotten Children's Fund. 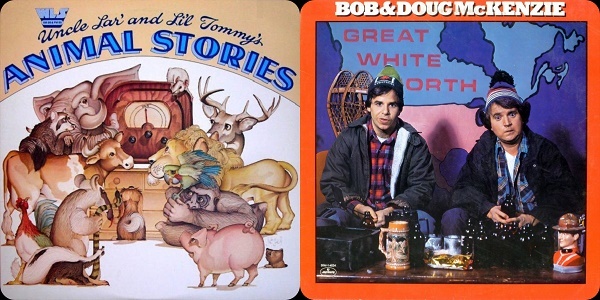 Animal Stories is infinitely funnier than the other comedy album on the list this week, Bob & Doug McKenzie's Great White North (#9) but I am on record as enjoying the latter album's Geddy Lee assisted "Take Off" and the SCTV duo's decidedly Canadian take on "The Twelve Days Of Christmas". Other Canadians on the Thirty-threes chart this week are power-trios Triumph and Rush. Allied Forces was my introduction to the music of Triumph and is the single finest record they ever released with the essential songs "Magic Power" and "Fight The Good Fight". Rush's double-live album Exit...Stage Left held little interest for fifteen-year-old-me as I preferred the studio versions of their few radio hits. WARNING! The next two graphics represent the rest of my favorite albums from the Thirty-threes list of albums in a pair of GIFs. If you are GIF sensitive, please quickly scroll down past them to read about the featured album of today's post. While I like more than a few live albums, the majority of them fail me. 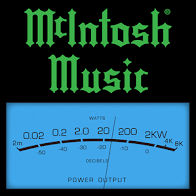 (Like Rush's album above.) The dynamic energy of live concerts is palpable and rarely, if ever, carries over onto a recording. It simply cannot be captured by a microphone or camera; truly a case of "you had to be there". For live albums to curry favor with me, they have to present the songs in a unique way from the studio versions like Bob Seger's Nine Tonight pictured briefly in one of the GIFs above and the featured album of this post, Billy Joel's live album Songs In The Attic. 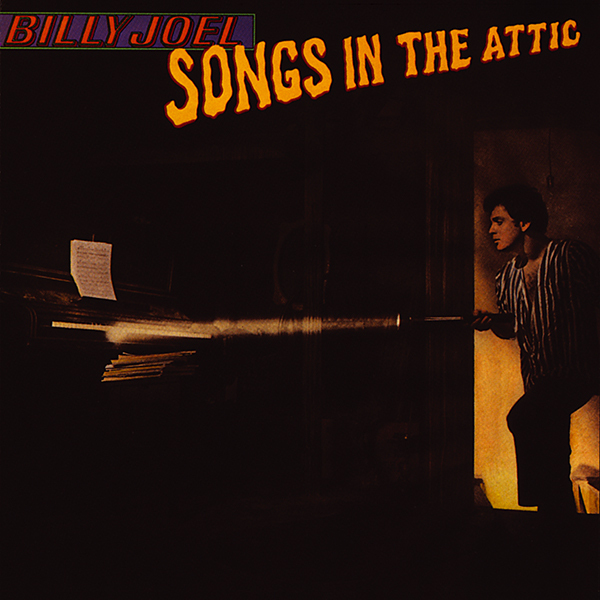 Songs In The Attic is an original concept for a live album in that it does not feature live renditions of studio recorded chart hits and singles from his most recent studio album or even the two albums that preceded it. Nope. Because of the discrepancy in performance between recording his very first four albums from 1971-1976 with professional studio musicians but then touring with his polished road band, Joel opted to feature songs from those first four albums in a concert setting so established fans could hear how the tunes evolved from studio to stage while new fans came aboard during his recent string of three multi-platinum-selling albums and nearly a dozen Top 40 singles could sample his back catalog through some of their stand-out tracks performed live. This album sat in Dad's stereo cabinet unwrapped for the longest time, probably because it was one of those albums he didn't order, an automatic shipment because he forgot to return his Columbia House monthly selection card. I grabbed the album one day while he was at work and I had a day off from high school (teacher grading days were the best) and fell in love with all the songs - all but two new to me at the time* - but most especially the bittersweet resignation of "Say Goodbye To Hollywood", the dark slice of suburban life of "Captain Jack" and the strangely upbeat apocalyptic anthem that is "Miami 2017 (Seen The Lights Go Out On Broadway)". Other Joel albums have come and gone with some holding my interest longer than others but Songs In The Attic, along with The Stranger and 52nd Street still remain in constant rotation here at The Hideaway. *I had seen Billy Joel on an episode of Saturday Night Live in November 1981, performing both "Miami 2017" and "She's Got A Way". A rare second musical guest also appeared in that same episode, hosted by Bernadette Peters, performing two songs of their own: The Go-Go's.